2019 - Current ASP Students -- Click on the blue buttons to learn more about Academic information or Campus Life information. This is one of the best places to answer questions you may have. If you can't find the answer, please come by our office and we will help you! 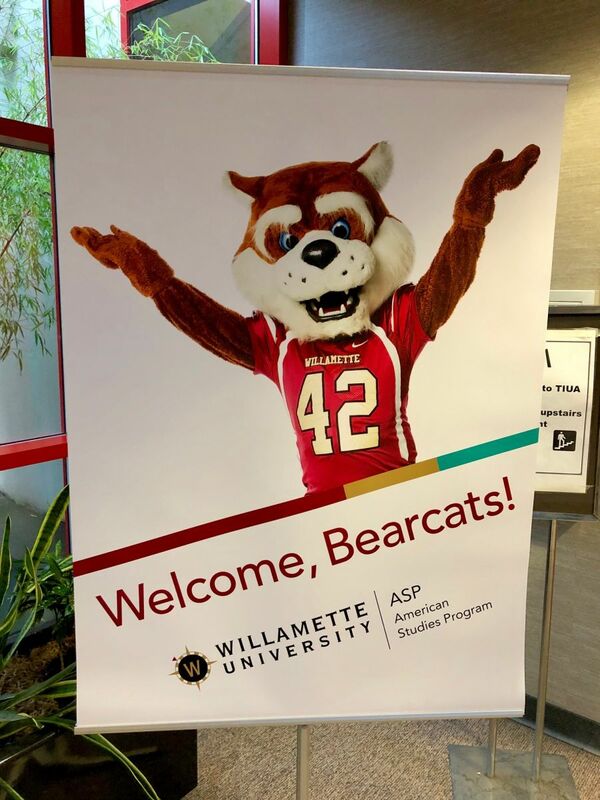 Holiday greetings from all of us at the American Studies Program at Willamette University! 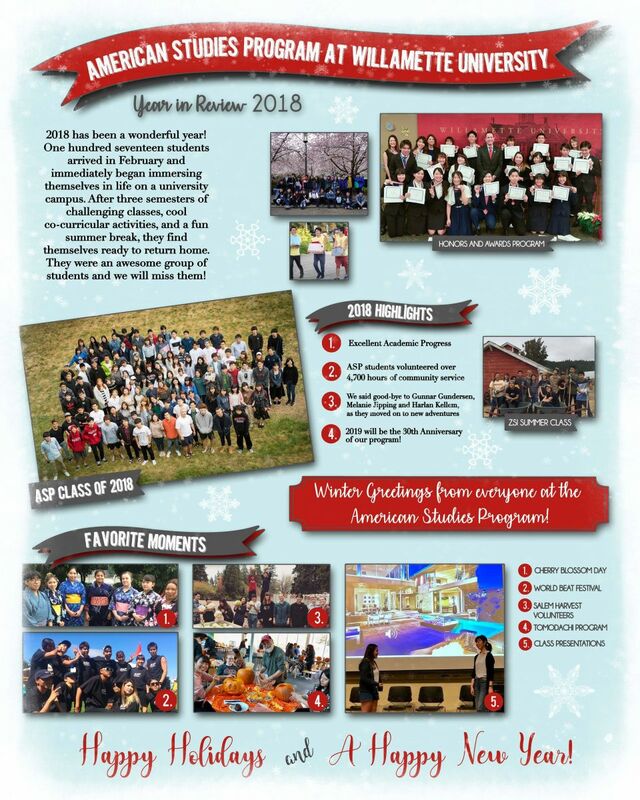 Many thanks to all the community members and others who have supported our students and program during this year.